Birdwatchers from around the world flock to Cambodia for a glimpse of two of the world’s rarest birds – the giant ibis and its cousin, the white-shouldered ibis, who nest on the outskirts of Tmat Boey in Northern Cambodia. Located in the rural village is an award-winning eco-tourism project, the result of collaboration between the wildlife conservation society and the sam veasna center. 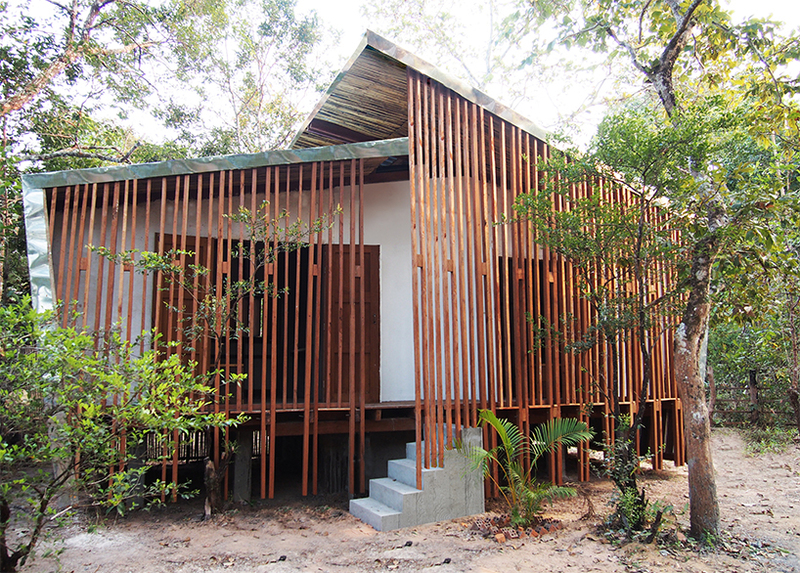 To house the project, non-profit building trust international–working alongside atelier COLE, WCS, and SVC–designed and built a sustainable ‘eco-lodge’. After participating in a hands-on design and carpentry workshop, local community members and building trust volunteers, also joined in the project’s realization–which worked to ensure a sense of ownership amongst the community. The eco-tourism site is located in kulen promtep wildlife sanctuary, and the Tmat Boey community receives a conservation contribution from every visitor who is lucky enough to catch a glimpse of an ibis on their tour. Collected funds are then used by the village to purchase items such as medical supplies, school books, and repairs to local infrastructure. The building makes use of natural materials including earth and bamboo. An adobe mix was placed on external walls, then smoothed and finished with a lime plaster. They possess a cooling effect that, along with the form, creates a natural airflow throughout. Bamboo was locally sourced and composes the roof and side-wall façades. 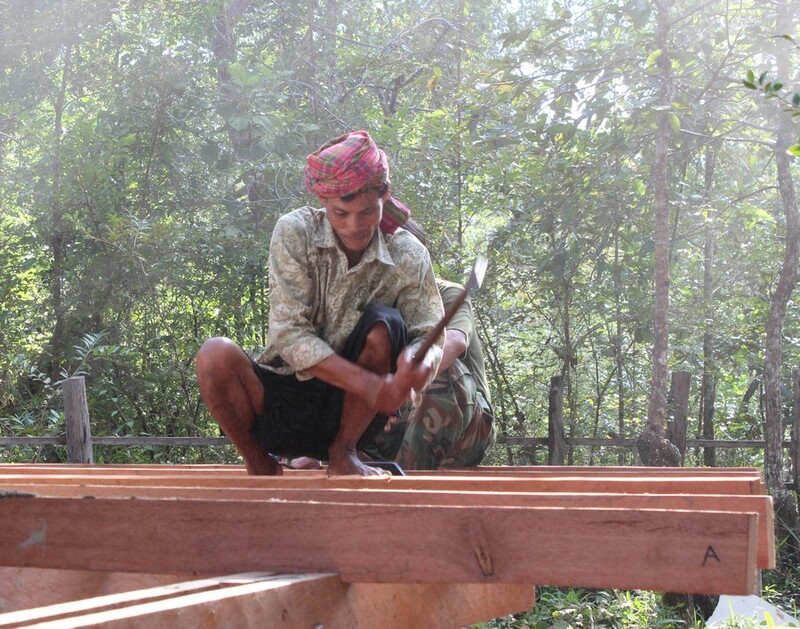 The roof is an overhanging split design which reduces solar gain on the walls and distinguishes the hut against the dense forest canopy. Movable/swingable windows were constructed with local timber, and allow for guests to watch wildlife from the comfort of their rooms. Recycled plastic bottles were collected from locals and used in the lodge’s staircase, and proved to be a valuable education on the importance of recycling and repurposing materials. The Tmat Boey ‘eco-lodge’ is only one project of many. 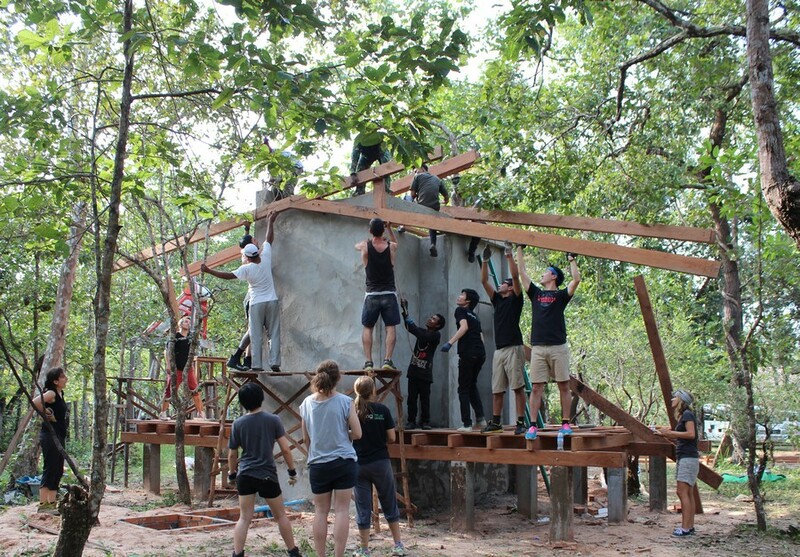 Throughout 2015 and beyond, building trust are due to host a number of design and build workshops around the world; promoting natural building, community engagement, and sustainable construction techniques and practices.